OK, so it’s only a shop, and their products are/were ridiculously over-priced. BUT! It was my favourite shop in the world and the flagship store in London’s Oxford Street was where I bought all of my first major albums and singles. From milestones in my Bowie collection to some incredibly rare Nine Inch Nails halos; HMV was my saviour. The music and film I got from HMV entertained and educated me. Without the music and film I purchased from those stores I would not be the person I am today. I am very sorry to see this particular high street retailer go, not just because of my personal memories but because of what it represents. 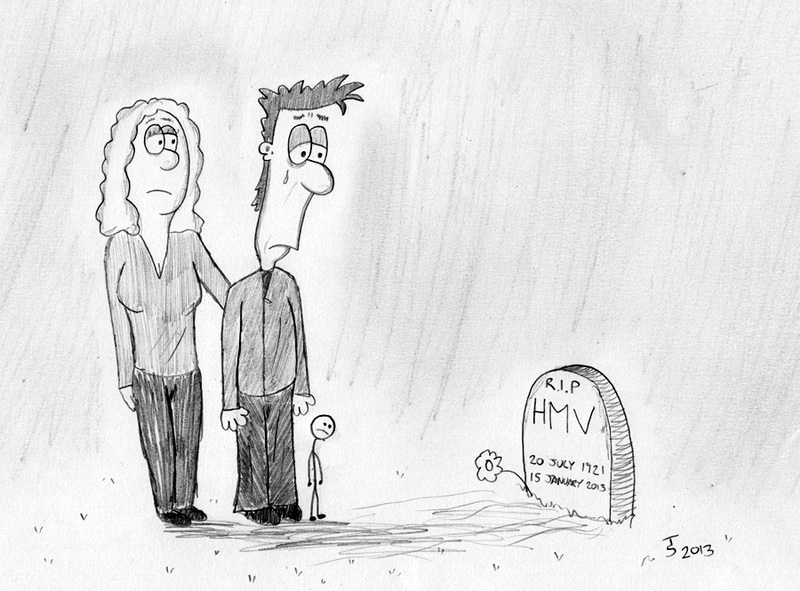 HMV was the last major entertainment store dealing with sound and vision. Now we will only be able to buy high quality music and video online. MP3 downloads are a poor substitute. The sad fact is that the majority of people today do not appreciate high quality sound and vision. It’s as simple as that. It should be noted that my doom and gloom could be premature as I might still win this weekend’s lottery and be able to bail them out! Thinking of you Fred in your time of great sorrow… but take heart my friend, as the large lumbering chains fall, there will always be a smattering of small independents growing from their ashes/ ruins….manned by those of us who still think its a god given right to frequent a record shop… it may cost you a bit extra in Google search and shoe leather but its all still out there if you look….. Thanks 🙂 that makes me feel better. I love me some walking, so I look forward to sniffing the stores out.